Hickok 6000 series is a compact mutual conductance tube tester. Most Hickok tube testers fall in two categories: those that use a 5 vac signal voltage and those that use a 2.5 vac signal voltage. Otherwise, most Hickok’s are remarkably alike (except for the really expensive models such as 539C or 752…). The 6000 series in the the 2.5 vac signal voltage group. The compact size of the 6000 is a welcome asset to any technician’s workbench because space is always at a premium. The 6000 series also has a replaceable socket panel. One panel has an older compliment of sockets (4-pin through 9-pin-miniature sockets); the other panel has a newer socket compliment (compactron & novar sockets instead of the antique sockets). 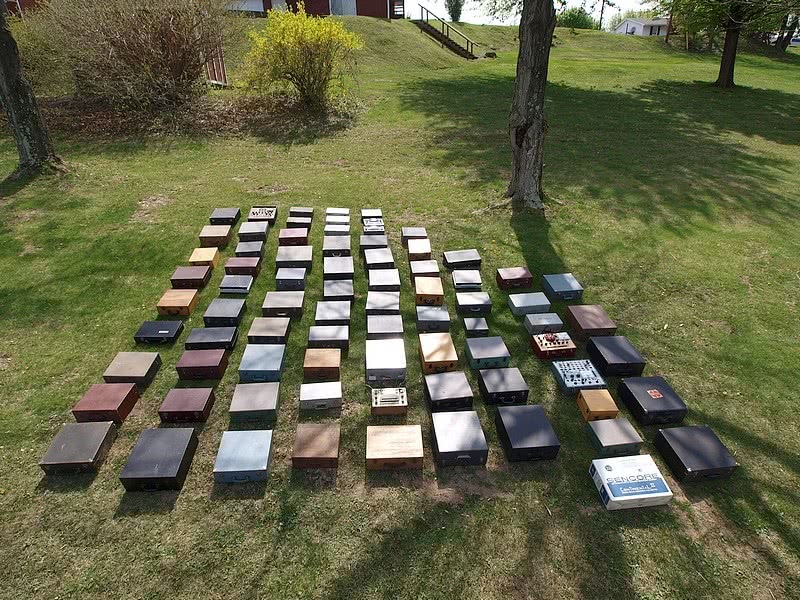 This system allowed easy replacement of worn out sockets — the customer simply purchased a new panel from Hickok. The setup chart configuration for the Shunt control gives “Good-Bad” readings, which were previously called the “English” readings in older Hickok testers. In fact, the Shunt control was named “English” on older models. The chart also provides a micromhos score for tubes that have transconductance (ie – not rectifiers, not diodes, not thyratrons…), and the Shunt control must be repositioned to the red dot on the Shunt control that is appropriate for that micromhos reading. For example, if the chart says “2000” and you had some reason to benefit from knowing the micromhos score (which is seldom the situation), you would ignore the chart’s shunt number and instead set the shunt control to the red dot near “73” which is the 3000 micromhos range. For most testing needs of a technician, the good/bad scale is convenient and appropriate. Need paperwork for your Hickok 6000? I offer a remastered paperwork package for Hickok 6000 — manual, schematic, remastered factory calibration document, and obsolete tube chart data supplement. $9.99 free ship USA. Vintage is approx 1957. The 6000 sold for $182 in 1958. Dimensions: 17 x 12 x 8 (inches) and weight 16-lbs. 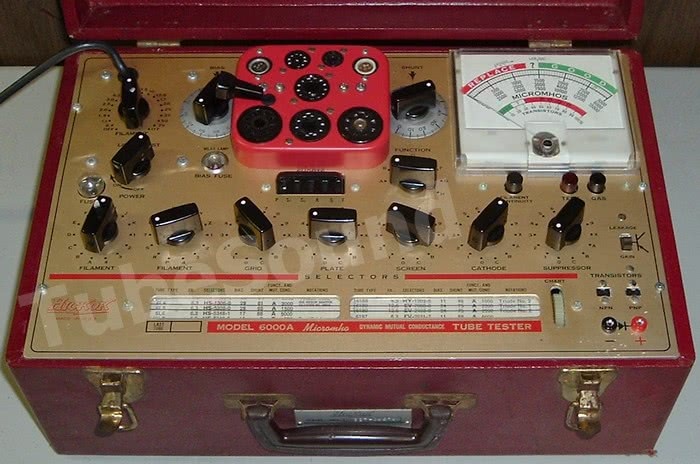 Model 6005 is the same tube tester but integrates multimeter functions. 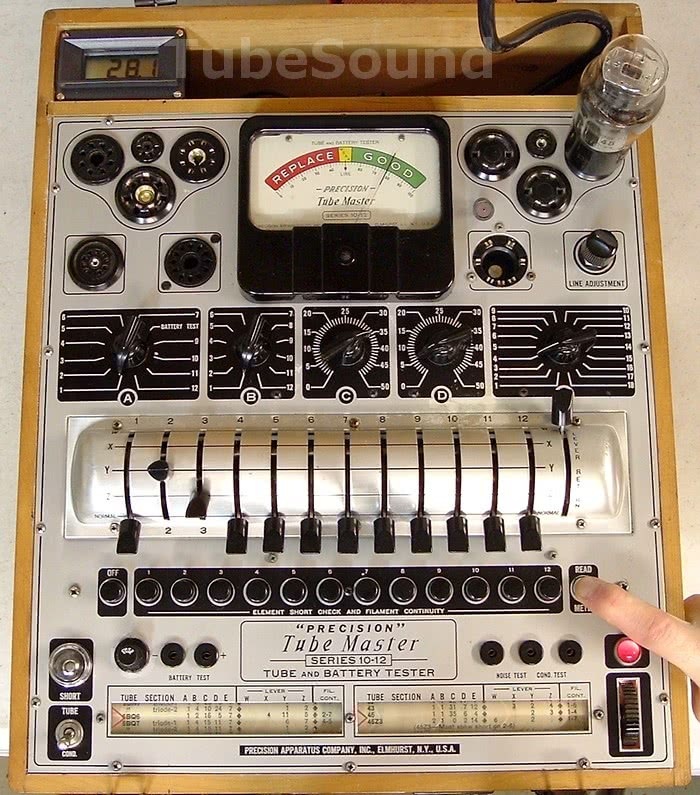 Model 6000A has basic transistor testing capability, which I doubt that anyone uses today. The 6000A has the newer socket panel with compactron and novar sockets, but without the antique sockets (4-pin, 5-pin, etc.) The socket panels are not interchangeable between 6000 and 6000A due to a different connection plug on the underside. As a sidenote, this socket panel makes it very difficult to install socket-savers if you still want to close the case lid. It can be done, but it requires a lot of work and creative thinking. See my article [HERE]. Today was my annual warehouse spring cleaning day, so it was a good opportunity to take a “family photo” of my tube tester collection. My collection changes all the time, sometimes daily. I did include all of the models that I use everyday for tube sales and bench servicing, and also models that I “rotate in” regularly to keep familiar with them. 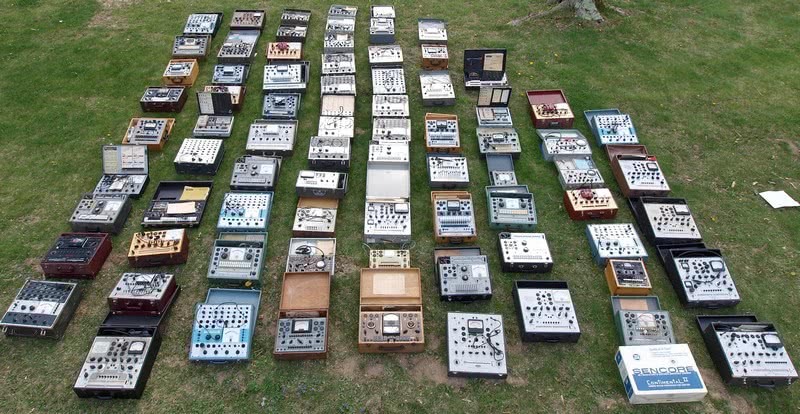 Many of these are a permanent part of my collection, others will be repaired/calibrated and sold to customers who want a quality tester that works great. One nice thing about having a large personal collection is that it makes easier troubleshooting of strange wiring problems in a customer’s tester that they have sent for repair. Being able to quickly examine another unit is often much faster than tracing the circuit. It is also nice to have another unit to compare, especially if I suspect that a component may have been replaced many years ago with a non-factory part. This article discusses repair and calibration of the B&K 600 / 606 tube testers. Both models can share the same tube setup data book, and therefore both models are functionally equivalent. Model 606 will be example shown in this article. Electrical voltages are present, repairs should only be attempted by a qualified technician. Copyrighted 2010 TubeSound, all rights reserved. Cosmetically, these models look like a little brother to their larger siblings — B&K 700 and B&K 707. Model 600 shares the same color scheme with Model 700, and model 606 shares the same color scheme as model 707. 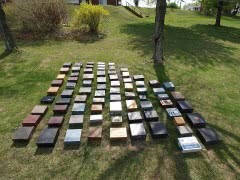 The wood case construction is similar also. Electrically, models 600 and 606 are very similar (though not identical) to the “Switch” section (bottom panel) of the 700 / 707, employing the same grid leakage test and very similar tests for Emission Quality and Shorts. 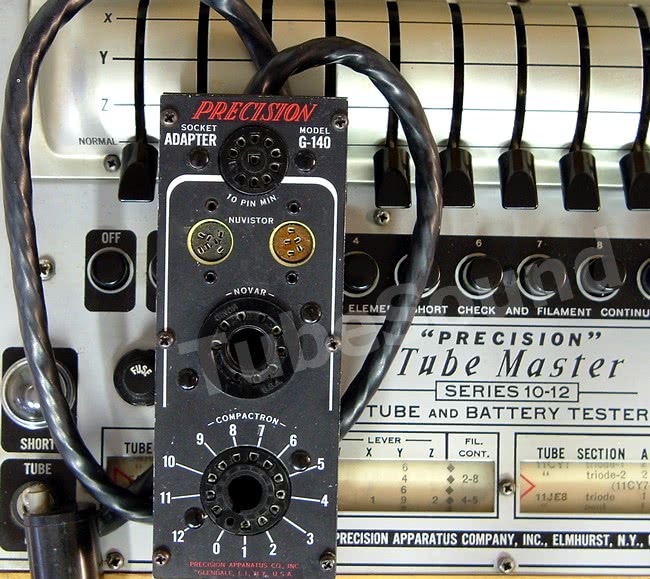 This article discusses repair and my calibration procedure of the Precision model 10-12 tube tester. Serious electrical voltages are present, repairs should only be attempted by a qualified technician. Copyrighted by Bob Putnak, all rights reserved. 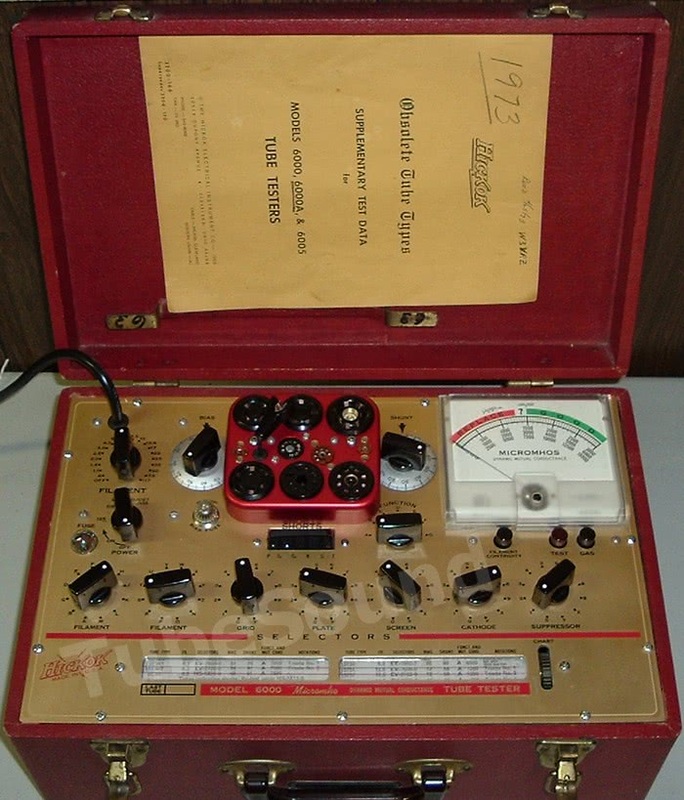 The Precision Apparatus Company (commonly known as PACO) manufactured some very high quality test equipment. Among their offerings are the “10-series” of tube testers, such as model 10-12, 10-15, 10-40, 10-54. The tube test method is the same in all, and the test data is interchangeable. 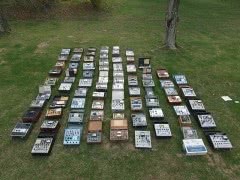 I have been collecting since 1990, and in my experience model 10-12 was the most popular unit. I have found many 10-12 over the past 19 years, and serviced many more. I have only found one different model for my own collection, a model 10-40 that you see in the photo. It is easy to see why model 10-12 was most popular. Four adjectives come to mind: Attractive, durable, consistent, quality. Attractive — it has a beautiful furniture-grade hardwood case. Durable — the entire unit is built-like-a-tank. Consistent — I have always found these units to produce repeatable test results, year-after-year. Quality — consistent test results from the “Electronamic” test method add up to a quality piece of test equipment. The 10-series is also popular today because it will test a very large variety of tubes. 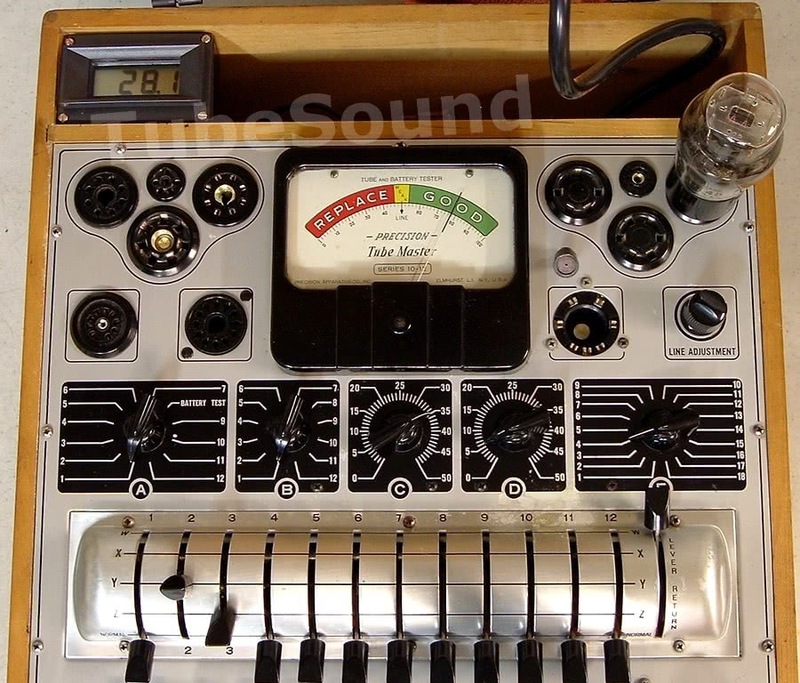 Model 10-12 has built-in sockets for antique tubes 4-pin, 5-pin, 6-pin, 7-pin large, and acorn. It also has sockets for octal, loctal, 7-pin miniature, and 9-pin miniature. 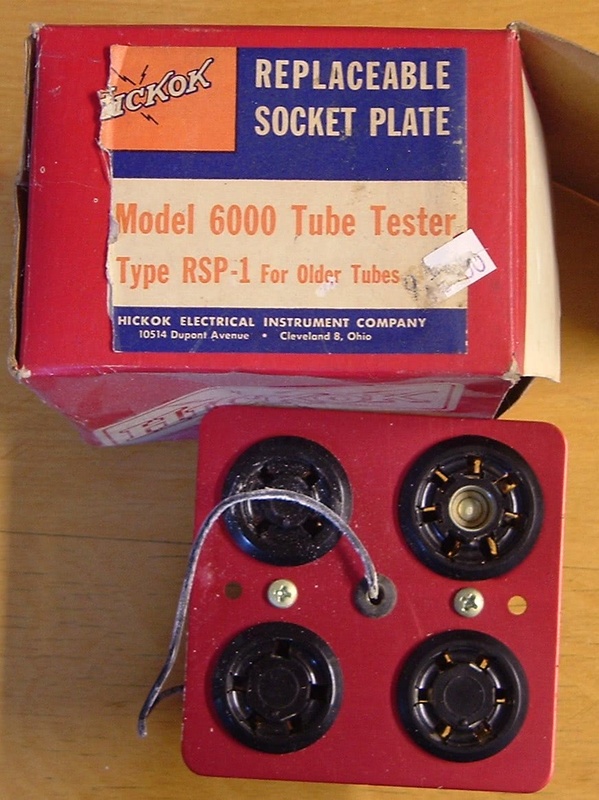 Socket adapters (models A-15 and G-140) were later available, which adds the ability to test 10-pin miniature, nuvistor (5 & 7 pin), novar, and compactron tubes. 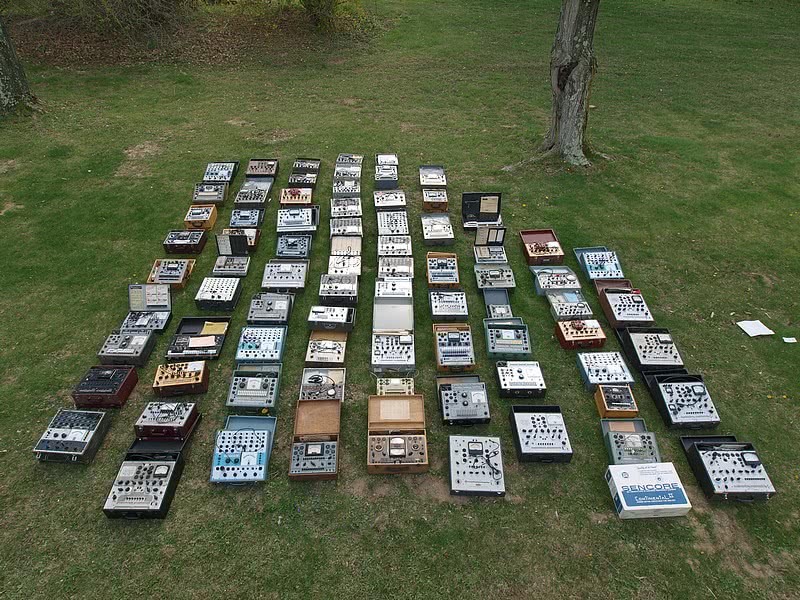 Therefore, if you have the socket adapter panel, you can effectively cover the entire range of tubes from antique 4-pin through modern 12-pin compactron.